Regardless of what it is, you might have an addition or compulsion towards big or small the impulse and the urge to act out the obsession comes from the ego mind. The idea or thought that continually preoccupies or intrudes on your mind is instigated by the ego to keep you stuck in the fear that is arising in you when the compulsion occurs. Certain situations will trigger the fearful thought and it is from that fear you act in a way that is familiar to you (the addiction) to ease the stress of the fear. Compulsive behaviours are unconsciously carried out because you have no awareness of the reasons behind the way in which you are acting, you are not privy to the fear that is exploding inside of you. A human can also be conscious to his or her additive actions, in other words, you know what you are doing, you recognize your behaviour but you do it anyway, almost as if something has taken over your body and is performing the behaviour for you. The ego can be a force much greater than our rational or our reasoning, once the ego has its hooks in when it sees an opportunity to take advantage of your vulnerability, it will and becomes a power over us greater than any inner logic. Whatever the behaviour you find yourself trapped in it becomes fuel for the ego every time you act it out. Fuelling the ego at any given time is like being put in a state of hypnosis almost like an out of body experience, like watching your Self-perform the behaviour outside of yourself, observing but not able to stop what it is you are doing. Depending on how far reaching the fear is inside of you will depend on how much the addictive behaviour takes a hold of you. If your addiction is exercise then it might be virtually impossible for you to sit and relax, the need to engage in physical activity takes over your thoughts, the more you think about what it is you need to exercise for, the more the ego mind is fuelled and manages to lock you in the root cause of the addiction – the underlying fear resting deep inside of you. Any behaviour which is impulsive can put a tremendous amount of stress on our daily living and our ability to enjoy a normal life, even a thought that is habitual can cause us to feel uncomfortable and takes us away from feeling happy and content. 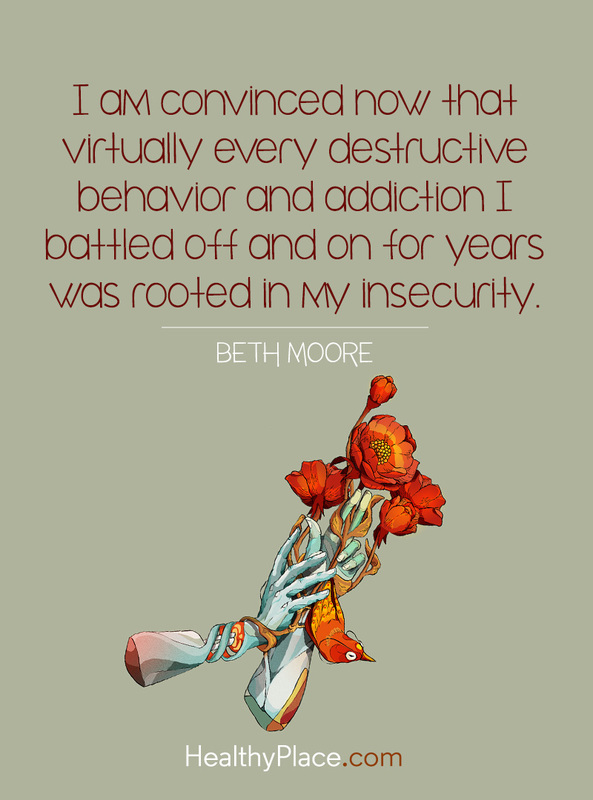 The best way to remedy any addictive behaviour is to undo the fear and cut the cord from which it feeds.